Monday from 7:30 p.m. to 10:00 p.m. at Schützenheim Reusrath. A2 in even calendar weeks. A door price of currently 4 € applies for guests, first visit is free. Club members pay a membership fee of 2.50 € per club night. At our club nights we are using the Triangles Rotation program. 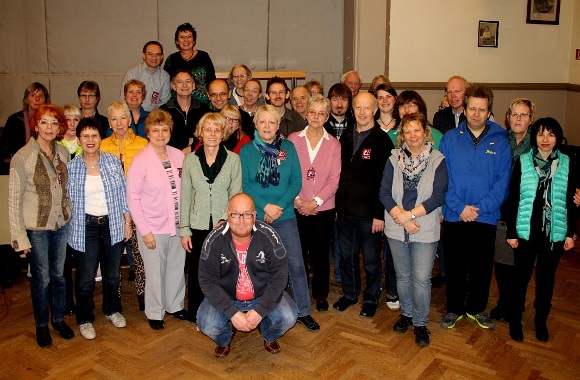 Thursday from 7:30 p.m. to 10:00 p.m. at Schützenheim Reusrath or on the 1st Thurday of the month at Solingen-Mitte. Club members pay a membership fee of 3.00 € per club night. Until further notice, our C3a club night does not take place. Guests are always welcome, but are asked to call before a visit to make sure that the club night will take place as scheduled. You might want to call our info phone with the number +49-231-222-272-292. This answering machine always has current information regarding possible changes for the club night (currently in German only). Alternatively you can have a look at our news page, which also will show up-to-date information about such occasional changes of dance locations or times.